So since we’re digging up old rifts and pitting blue against green anyway, it’s a nice time to look at one way that basketball fanatics choose to represent their teams: the shoes. 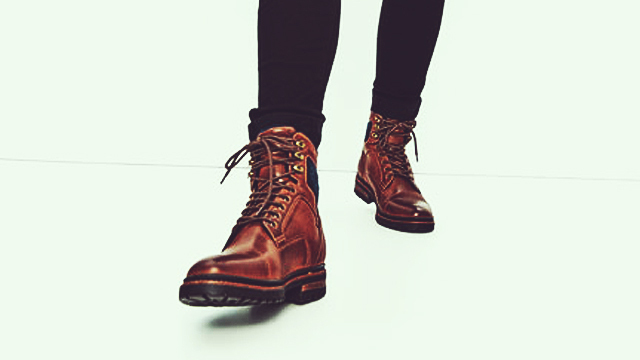 After all, half the fun in taking sides is dressing the part, down to your kicks (okay, so maybe that’s only about a quarter of the fun. But you get it). The most iconic colorways of basketball shoes are often in the colors of a team: Bulls-red Jordans, Lakers-yellow Kobes, Whatever-red Lebrons. So if you’re heading out to watch the Finals, consider donning a pair in the colors of the team of your choice. And for such an iconic basketball rivalry, it’s also only fitting that you pick out a pair of iconic basketball shoes. 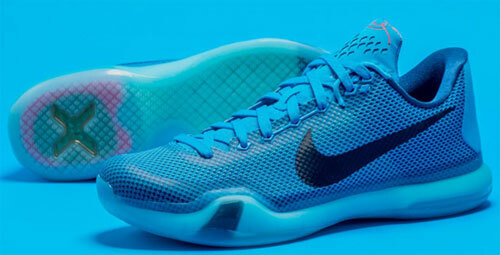 Here are a few such sneakers that look great in blue or green. 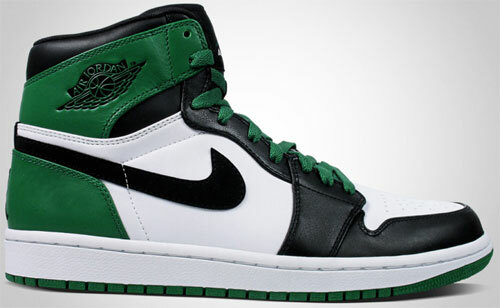 There are more colorways of the Air Jordan 1 than any other Air Jordan. But for times like this, two come to mind: the Fragment Design Jordan 1s from 2014, and the Defining Moments Pack Jordan 1s from 2009. 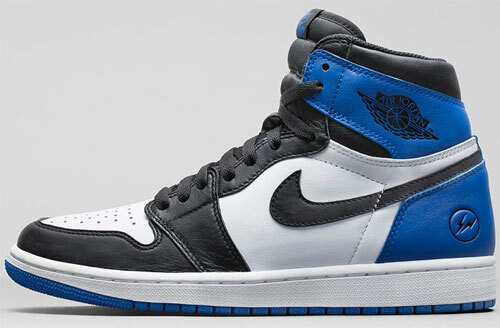 The former was a collaboration with Hiroshi Fujiwara, and the latter is a tribute to Michael Jordan’s 63-point performance against the Boston Celtics in Game 2 of the 1986 NBA Playoffs. 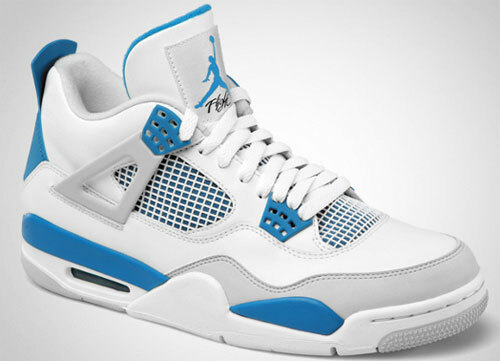 Among the Jordan 4’s original colorways when it first came out in 1989 was Military Blue—one if its most iconic, too. The Military Blues have been retro’d twice since then—once in 2006 and again in 2012—a testament to their popularity. 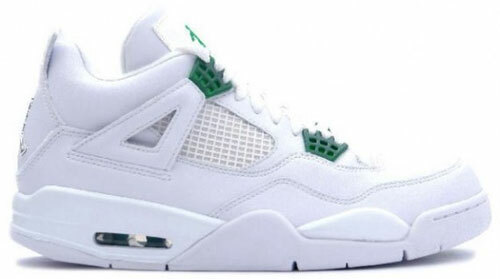 A much less popular (virtually unknown) colorway of the 4 is Classic Green—a variant of the “Pure” 4s, but with green lace panels instead of chrome.This one came out once in 2004, then was never heard from again. The most popular colorway of the 6 is no doubt Infrared, the shoe’s first OG colorway. 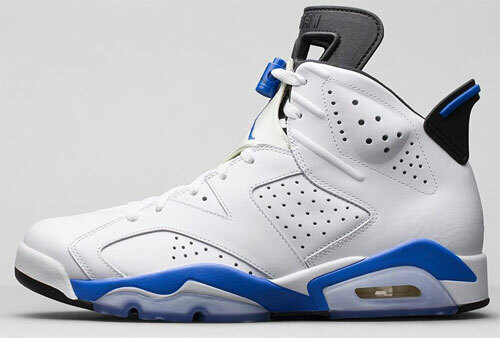 But among the OG releases of the 6 when it first dropped in 1991 was Sport Blue: mostly white, but with bright blue accents. 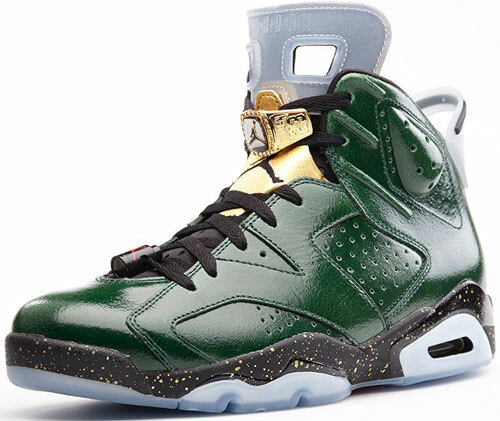 Then in 2014, Jordan Brand released a two-colorway pack of 6s to commemorate Jordan’s six championship rings—one was done in a cigar-themed colorway, and this one in a champagne-themed colorway, with royal green patent leather to simulate the bottle. 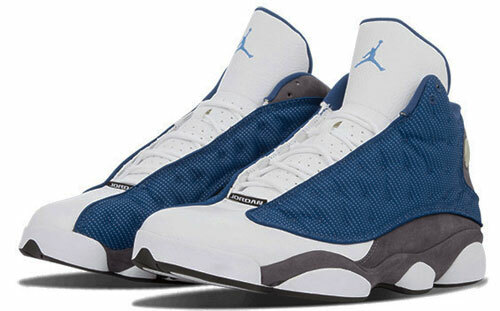 As early as now, the sneaker community is speculating a 2017 release of the Air Jordan 13 “Flint,” an OG colorway from 1998, which we last saw in 2010. 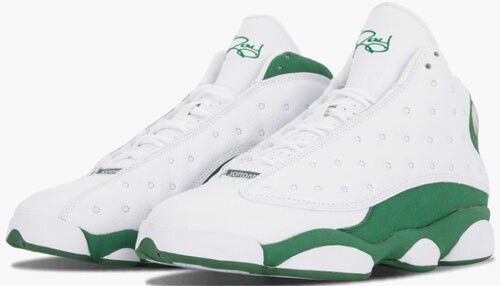 Against it, a Ray Allen Player Edition from his days with the Boston Celtics. A home colorway, this 13 is done in white with green suede and accents. It saw a very limited release among select retailers in 2011, and has not since been re-released. 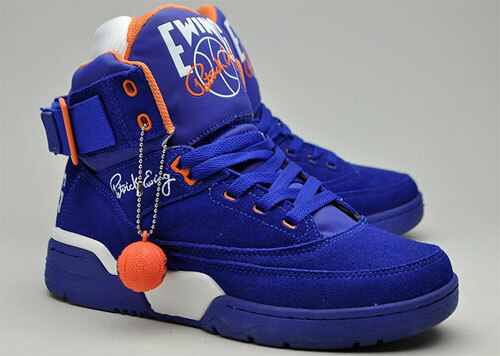 Patrick Ewing’s boot-like basketball sneakers have seen a resurgence over the past few years, with a lot of old colorways making a comeback. Because its upper is made with suede, the 33 Hi is great for bold, bright colorways. 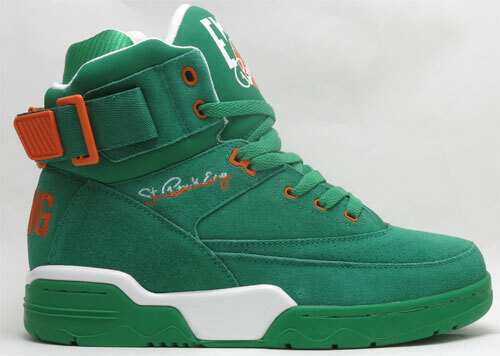 The Knicks Away colorway makes a good case for blue suede, and a special St. Patrick’s Day tribute colorway makes the same for green. 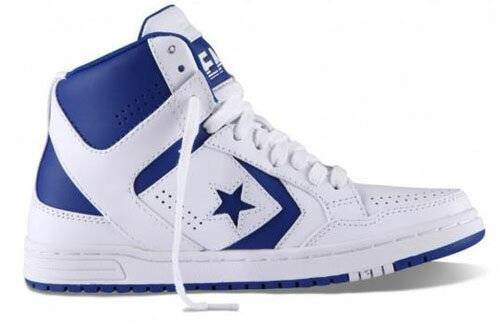 Larry Bird famously wore a pair of Converse Weapons at the height of his basketball career, but they were always in the black-and-white colorway, rather than green, even if Magic Johnson also famously wore a Lakers colorway. 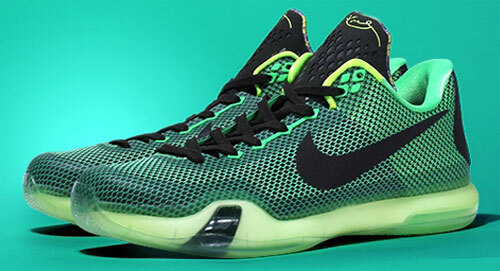 Fittingly, the shoes continue to be released in a variety of colorways, including blue, and of course, green. 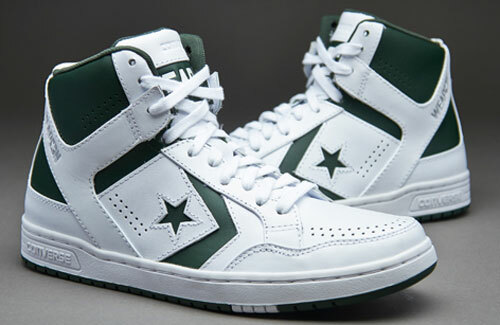 Plus, the star emblem would be a nice touch for La Sallians who are interested in hunting down a pair of the green ones. Before going pro, Lebron James played for St. Vincent - St. Mary High School. So as with most Nike Basketball athletes, his shoes come in tribute colorways of his school: green and gold, as the team was called The SVSM Fighting Irish. 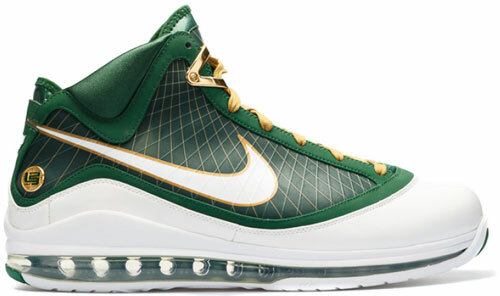 One such iteration of the Lebron 7 was a PE, done in green and white with gold accents. 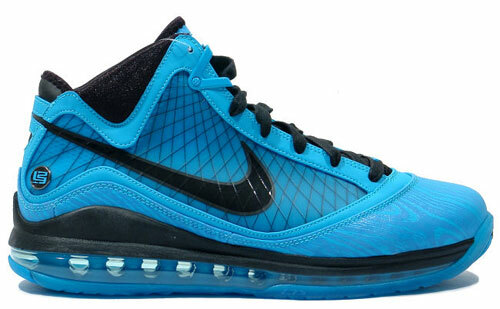 On the other hand, Lebron’s All-Star colorway for the year (2009-2010) was a bright blue with reflective hardwood textures. You can expect to see a lot of Kobe 11s on court in the Finals, as they seem to have been one of the choicest sneakers of the season. 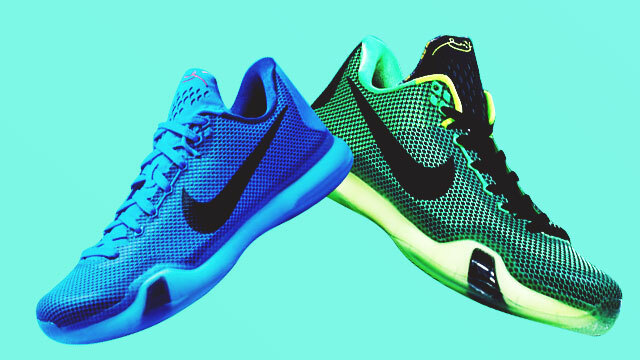 The shoes that came before it, the Kobe 10s, however, came in more storied colorways. The Vino 10s are part of an entire line, including basketball gear and apparel, designed after a vineyard, referencing Kobe’s famous maxim, “Like vino, the Mamba gets better with age.” The same goes for the 5AM Flight 10s, except that these are inspired by a Vine video of Bryant diving off a 40-foot board into a blue pool, early in the morning, while he was recovering from a torn ACL.